Love how hexagons were used here along with paper pieced stars. This is an replica of an old 1920s quilt. The pattern was used as a raffle quilt here Have you found a hexagon quilt you're considering replicating? Please share it or your work in progress with us. Linky below. Blessings! I hope it brought a lot of money for the raffle. It's gorgeous. Have fun this weekend! Amazing quilt! Never seen one with hexies in the sashing like that. That gets my little hamster going in my head. Oh inspiration! What a pusher over! Thanks so much for sharing. Really enjoyed it. Will link later. Hoping to see some more participants linking up when I get up tomorrow. 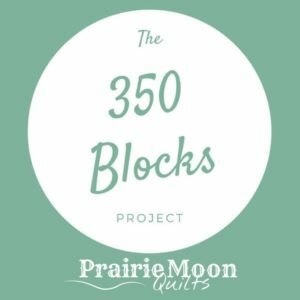 I love looking at the projects! What a beautiful raffle quilt. I love seeing hexagons used in different ways! Very inspiring indeed! I have linked up to my sewing room post, by invitation, as it shows many hexagon projects- it might be fun playing "spot the hexy! 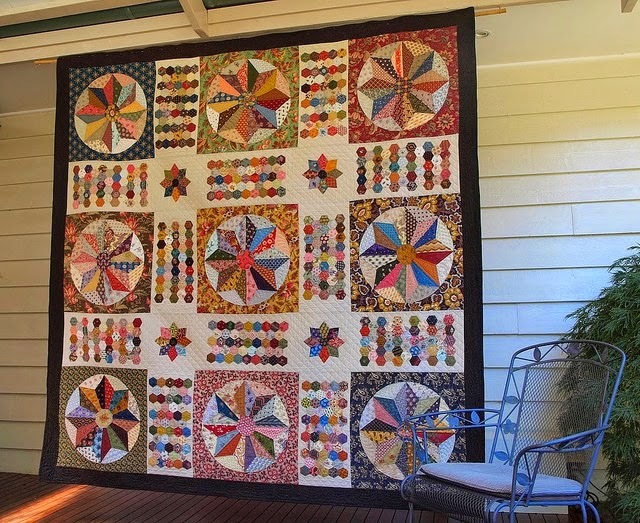 Wow what a great hexie quilt. So out of the ordinary.................very special and thanks for sharing. 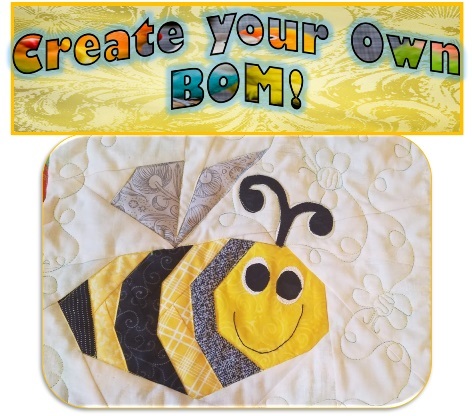 That is a fabulous quilt - such a very different way of using hexagons in a design! I love that replication! Gorgeous!! OOO! thanks for sharing that quilt. Love it.